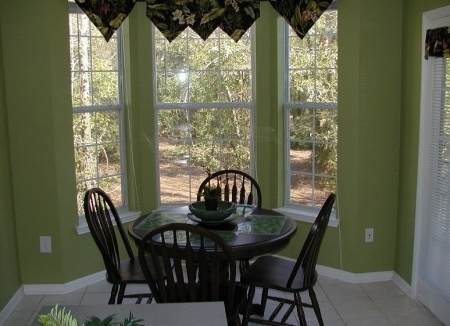 This beautiful vacation rental villa has 3BR/2BA. 1800 square feet. Sleeps 8 comfortably. 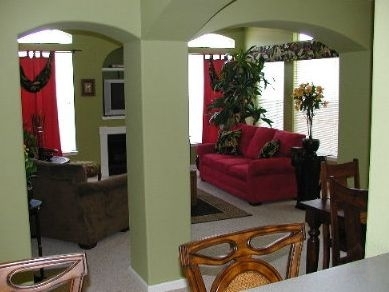 This is an upper level unit with door side parking and an attached two car garage with direct entry. 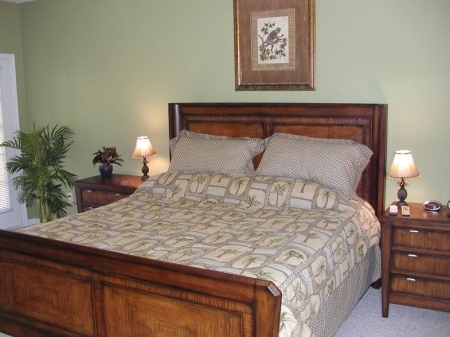 Master bedroom is King, second Bedroom is Queen, third Bedroom is 2 Twins, all with top of the line mattresses. Living room with Queen sleeper sofa. 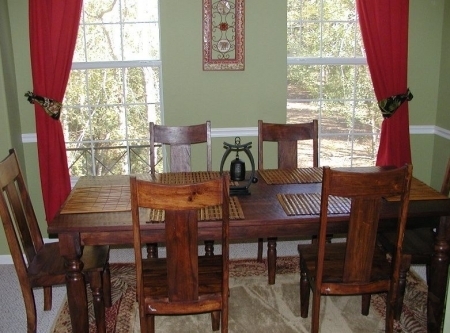 Breakfast nook seats four, formal dining seats six, bar seats two. Kitchen is fully equipped. Dual balcony access from breakfast nook and master suite. 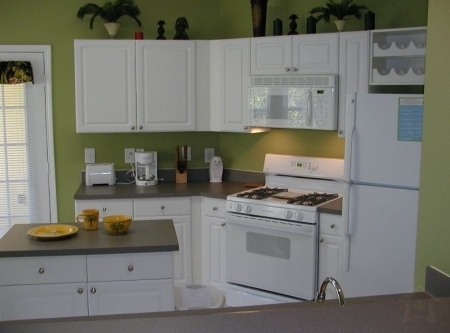 Electronic amenities include four television: living room (32 inch) and all three bedrooms. Three progressive scan DVD players. High-speed wireless internet (bring your own laptop). Cable TV. Cleaning fee of $95 and 12% tax per stay. $10 HOA resort fee per stay, beginning 2010. Summer Peak: 3 night minimum except where a vacancy in the calendar can be filled. Off Season: 2 night minimum. $185 per nightt for 2 night weekend stays only. Other rates may apply to holidays and special events. e.g. Cruisin\' the Coast: $225 per nightt, $1285 per week, 4 night minimum.